New Zealand has been hit by a second powerful earthquake, only hours after a 7.5 magnitude tremor killed at least two people. 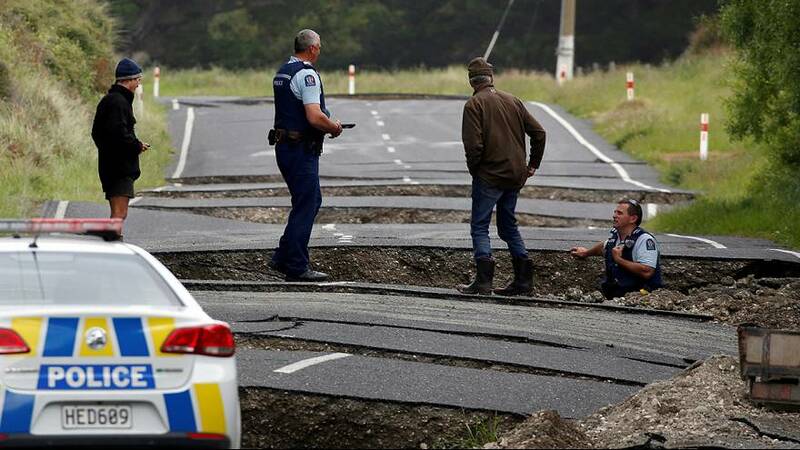 Some communities on the country’s south island remain completely cut off after the initial quake badly damaged roads and other key infrastructure. Earlier New Zealand’s Prime Minister John Key visited the popular tourist destination of Kaikoura, one of the worst affected areas. The tremors triggered a series of major landslides as well as a tsunami of up to five metres high, forcing thousands of people to flee to higher ground. And authorities have warned the worst may not yet be over with fears more aftershocks may follow. Staff at one golf warehouse turned up to work on Monday morning to find their store in a mess following the overnight earthquake. The video shows bags of clubs toppling over and balls flying off the shelf. This video shows wine bottles being knocked off the shelves in a shop in Nelson, New Zealand. The owners said it took about ten people over two-and-a-half hours to clean the entire mess.